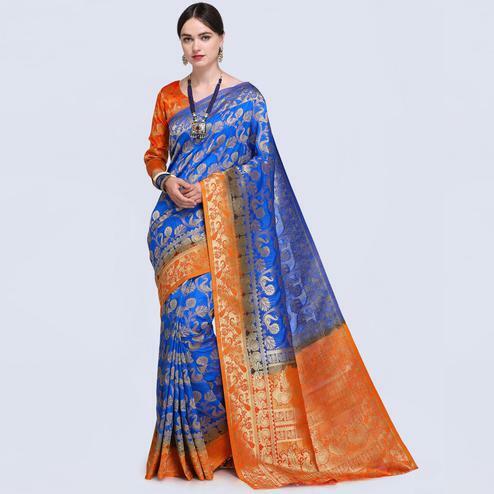 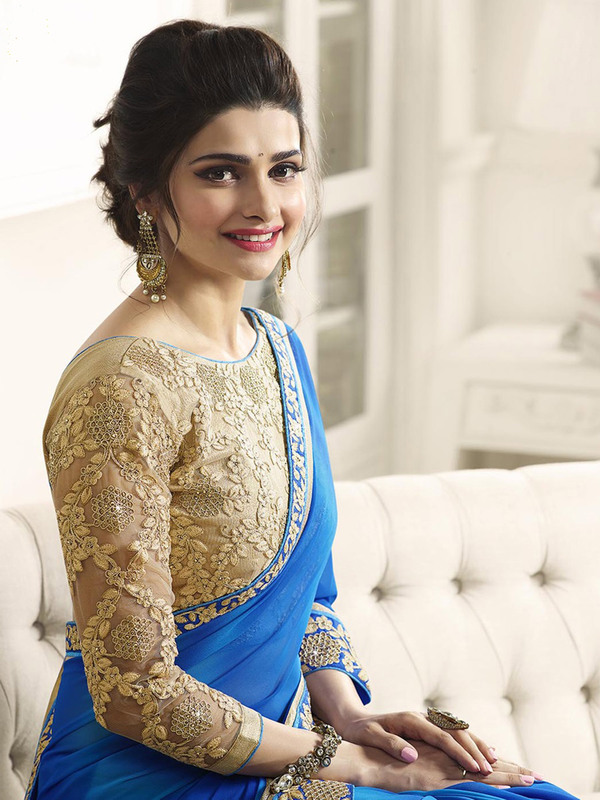 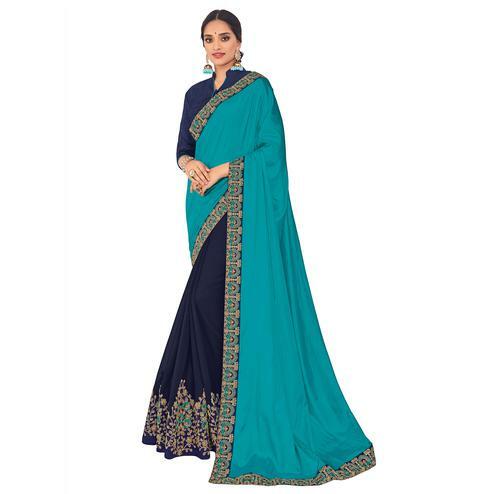 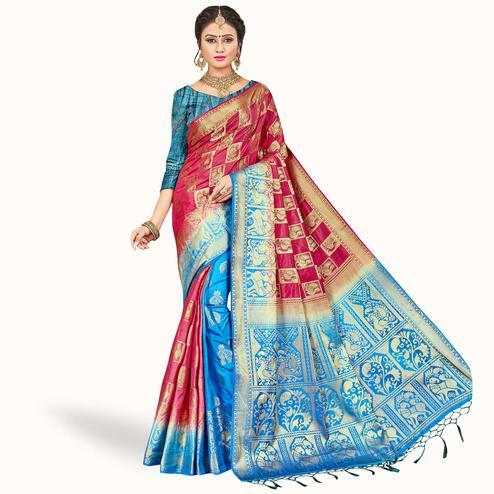 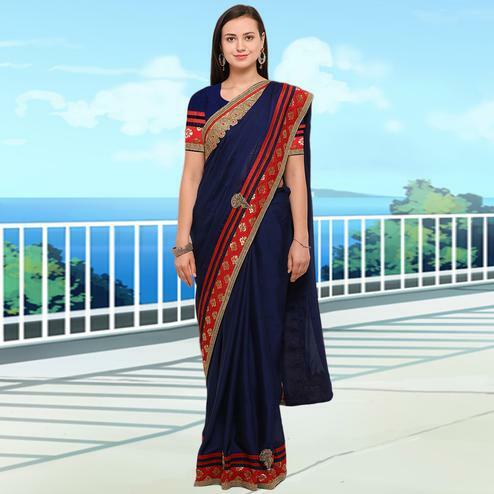 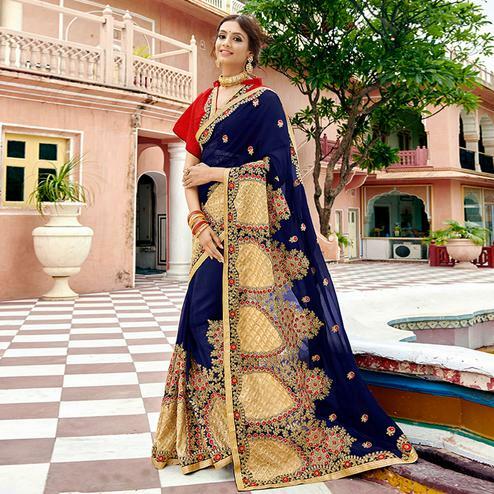 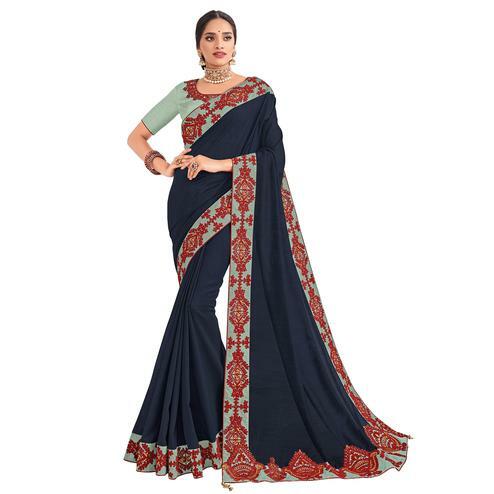 Head out for parties in style wearing this beautiful blue saree. 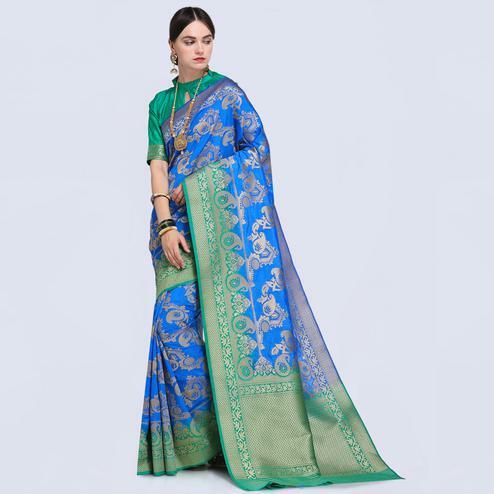 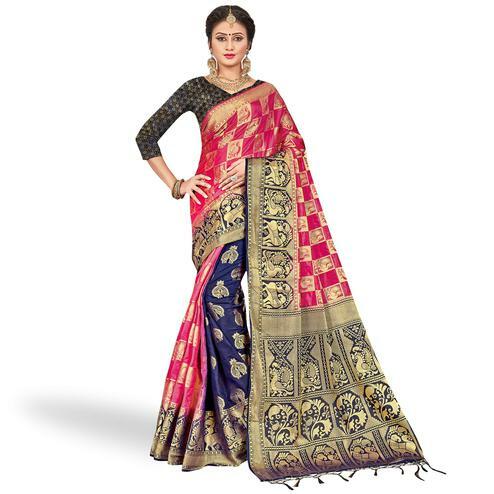 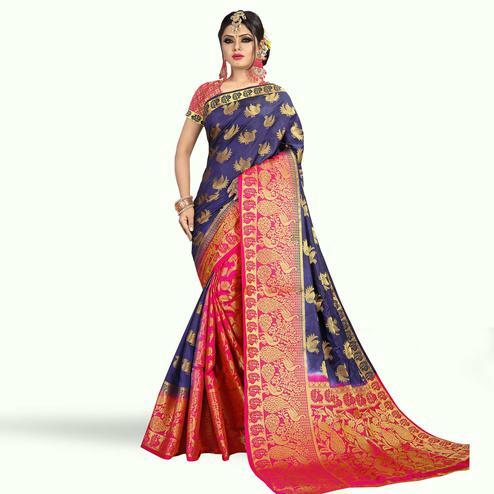 This georgette fabric saree look has enhanced with floral pattern embroidered work border as shown. 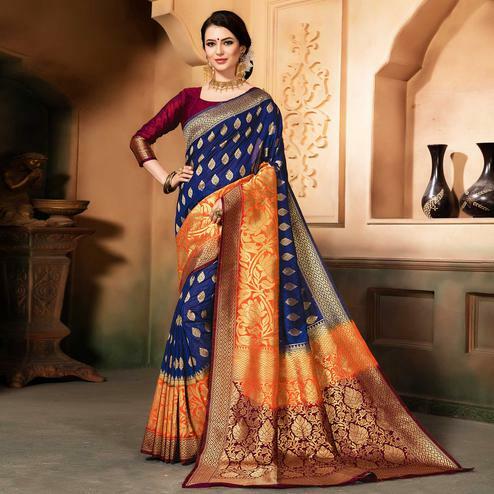 Saree paired with golden color matty fabric blouse piece detailed with floral kali embroidered work.